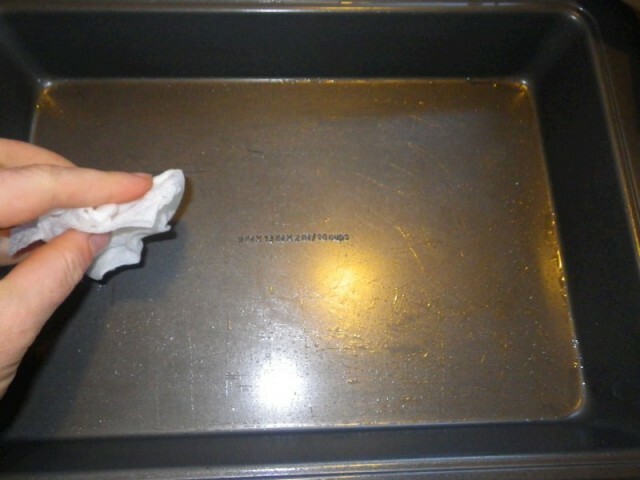 Using a small amount of oil on a paper towel, grease the inside of the pan. 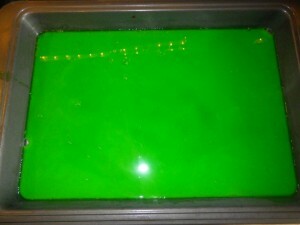 Mix package of green Jello and one envelope of unflavored gelatin. Add one cup boiling water. 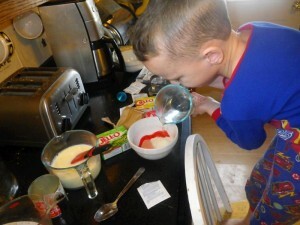 Stir about two minutes or until dissolved. Pour into the pan. Refrigerate until set, but not firm — about 20 minutes. 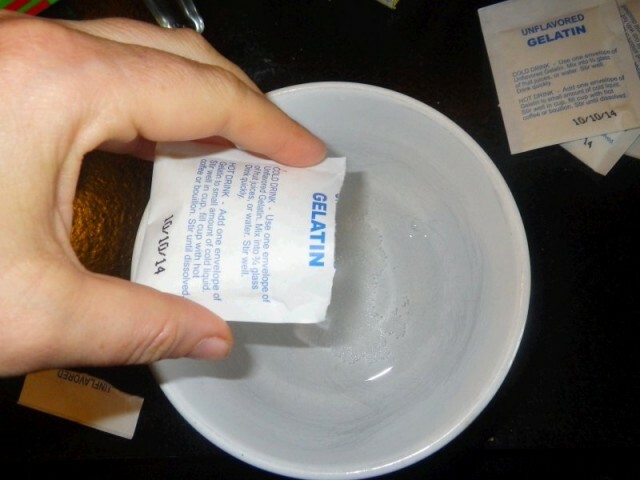 In a small bowl, sprinkle two envelopes of unflavored gelatin over ¼ cup cold water. Let stand for 1 minute. Stir in ¾ cup boiling water. 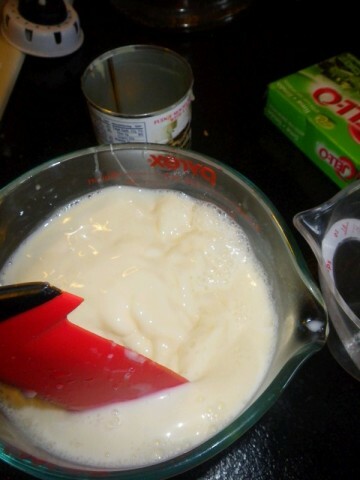 In another bowl, mix condensed milk with one cup boiling water. 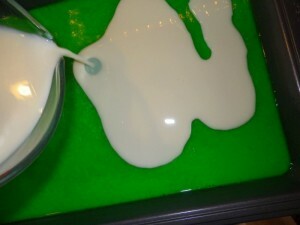 Add the gelatin mixture to the milk mixture and stir. 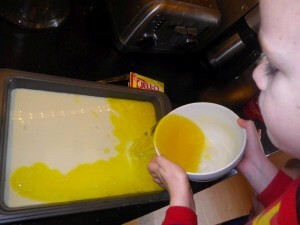 Pour 1 ¼ cup of the milk/gelatin mixture over the first layer and refrigerate until set, but not firm — about 25 minutes. 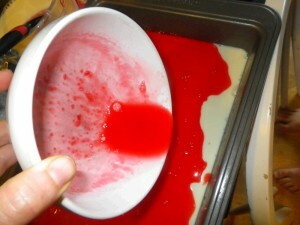 Mix the red Jello with one packet of unflavored gelatin and one cup boiling water. Stir about 2 minutes or until dissolved. Pour into the pan and refrigerate until set, but not firm — about 20 minutes. 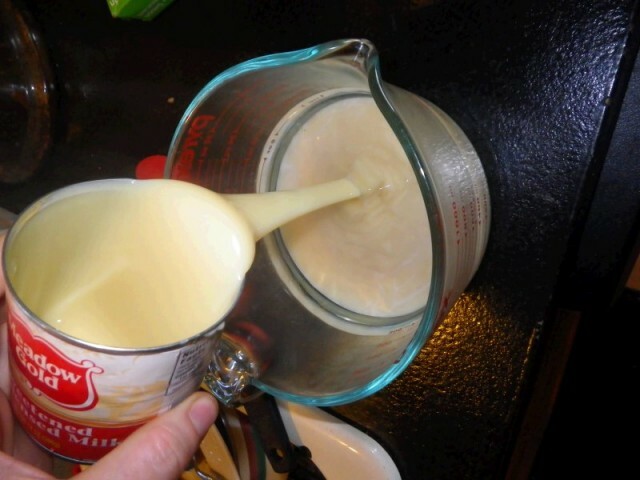 Pour 1 ¼ cup of the milk/gelatin mixture into pan and refrigerate until set but not firm — about 25 minutes. 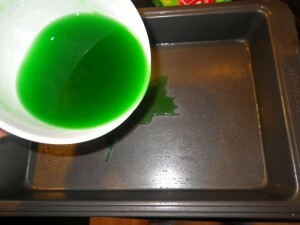 Mix the remaining package of green Jello with 1 package of unflavored gelatin and 1 cup boiling water. 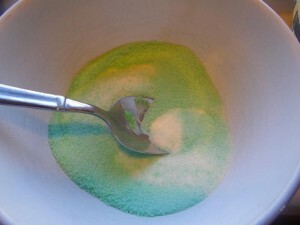 Stir 2 minutes or until dissolved. Pour into the pan and refrigerate until firm but not set — about 20 minutes. 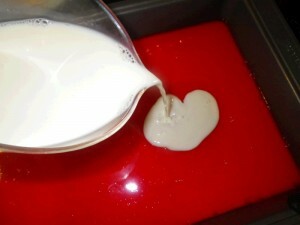 Pour the remaining milk/gelatin mixture into the pan and refrigerate until set but not firm — about 25 minutes. 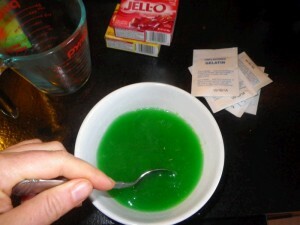 Mix the yellow Jello with 1 packet of unflavored gelatin and one cup boiling water. 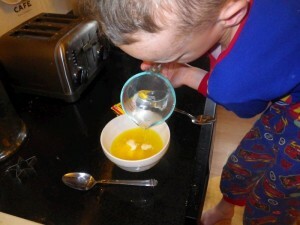 Stir 2 minutes or until dissolved. 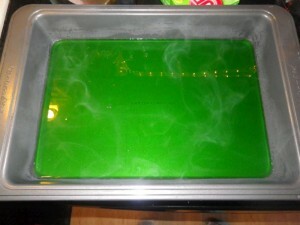 Pour into the pan and refrigerate at least 2 hours. 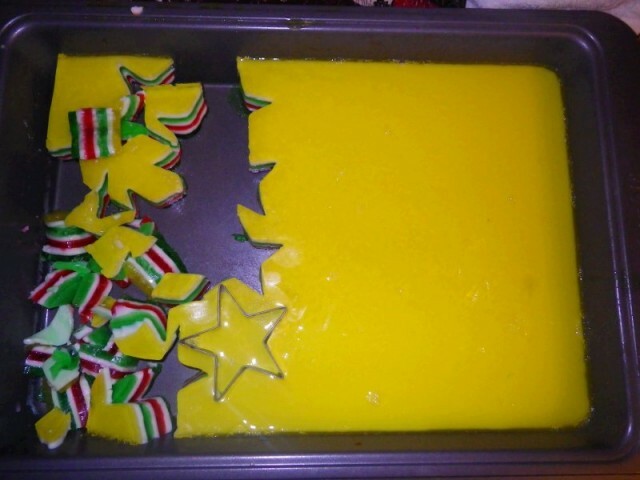 When it is fully set, cut into star shapes with a small cookie cutter. Depends on the size of the cutter. My instructions said to cut into 1-inch squares — that would yield 117 servings. 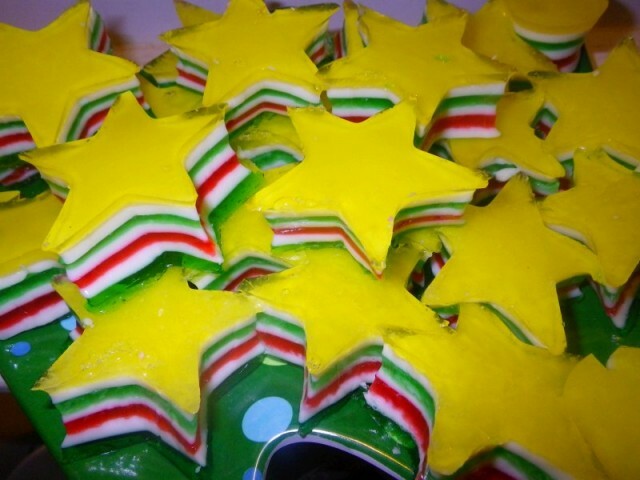 I got about 20 stars and a whole bunch of scraps that my kids have been eating off of — and they love the scraps as much as the stars. 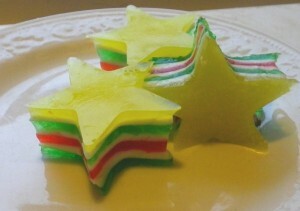 In the list of ingredients it calls for 6 unflavored gelatin packets but in the directions I can only find 3 being used! 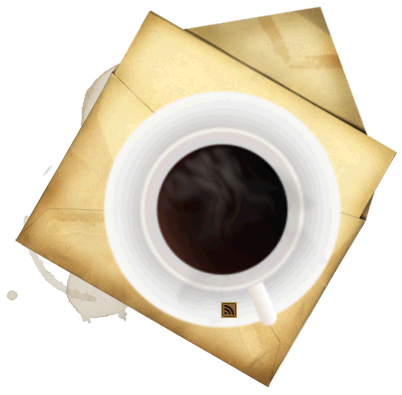 Already making it and questioning how to use the other 3 packets or not at all ……. excited to take this to our family gathering. I see where I made an error in my directions and I apologize. 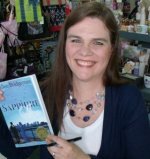 I hope you figured out what I did and that your recipe turned out! I’ve corrected the directions. 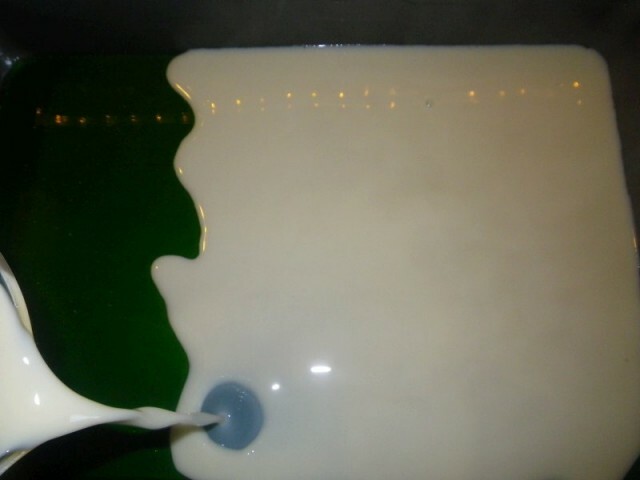 You have four colors — each one uses one packet each of unflavored gelatin, and two packets of unflavored gelatin go in the sweetened condensed milk, for a total of six.